Between Deadpool and Guardians of the Galaxy I’m not sure which Marvel franchise has the coolest films but Deadpool definitely has the edge in outlandishness. We finally get our first look at Thanos Josh Brolin as the long sought after Cable and while I wasn’t completely sold on him as a choice when it was first announced, I’m all on board after this trailer. He nails the look and what little we do get to see of him in action looks completely badass. This is looking like one of those rare sequels that will be better than the first. We also get our first look at Tom Hardy as Venom and I didn’t need any convincing of him in the role. In my mind he’s perfect, and while we don’t get to see much or even him in the symbiote, I’m already digging the tone. Does this man Tom Cruise ever age? It’s insane that at his age he’s still pulling off these crazy stunts and while Mission: Impossible has always been the poor man’s Bond to me, they’ve always been fun and Fallout is looking like another intense ride. Remember that excellent viral campaign by Pepsi for Kyrie Irving which spawned the nickname Uncle Drew? Well, have you been wanting a full-length feature of that? No? Too bad, because that’s what we’re getting with the likes of older greats like Shaq, Chris Webber, and Reggie Miller. Granted, it does look corny as hell and like one of those direct to DVD films of old but I can’t help but be intrigued by it. We get a better look at the story of Incredibles 2 (maybe my most anticipated super hero film of the year) and it features a bit of role reversal with Elastigirl taking the super hero lead and leaving Bob at home with the kids. But knowing Pixar, I’m sure there will be a lot more to the story than they’re showing. 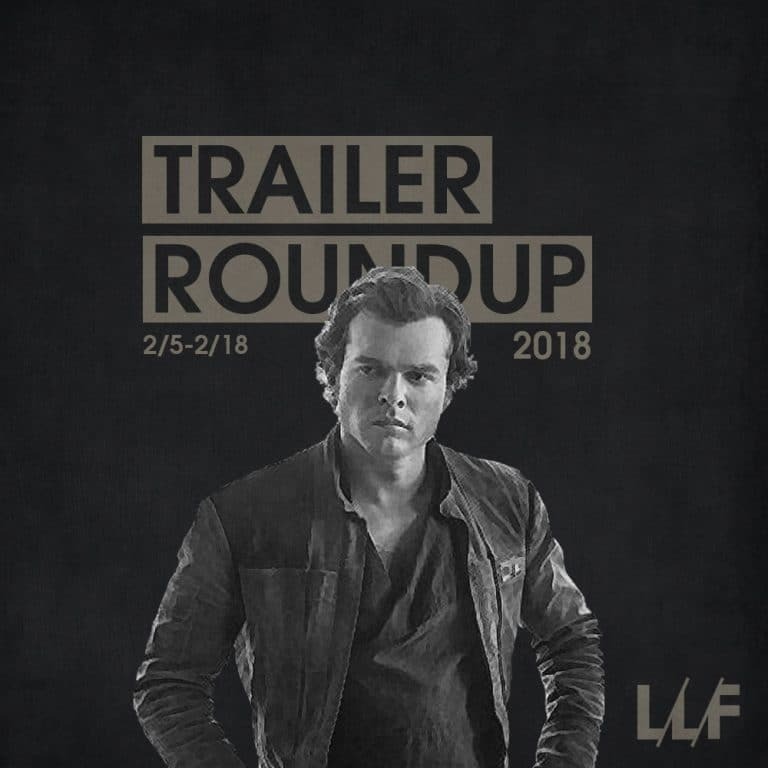 Lastly, Disney and Lucasfilm are already back dipping into the Star Wars pool with our first look at the standalone Han Solo and regardless how you may feel about it it does look undeniably cool in the way only Star Wars films can. I personally am having some Star Wars fatigue and hate seeing anyone but Harrison Ford in the role of Han Solo but lord knows I’l still be there for this one too.